RITEŅU BALANSĒŠANAS IEKĀRTAS Te ir 2 preces. 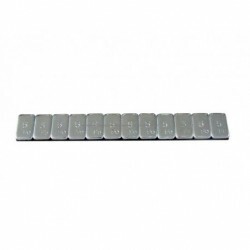 RITEŅU BALANSĒŠANAS ATSVARI LĪMĒJAMIE 12X5GR (60GR). 100 GAB/IEPAK. WHEEL BALANCING WEIGHTS ADHESIVE 12X5G (60G). 100 PCS/BOX. БАЛАНСИРОВОЧНЫЕ ГРУЗИКИ САМОКЛЕЮЩИЙСЯ 12Х5ГР (60ГР). 100 ШТ/УПАК.